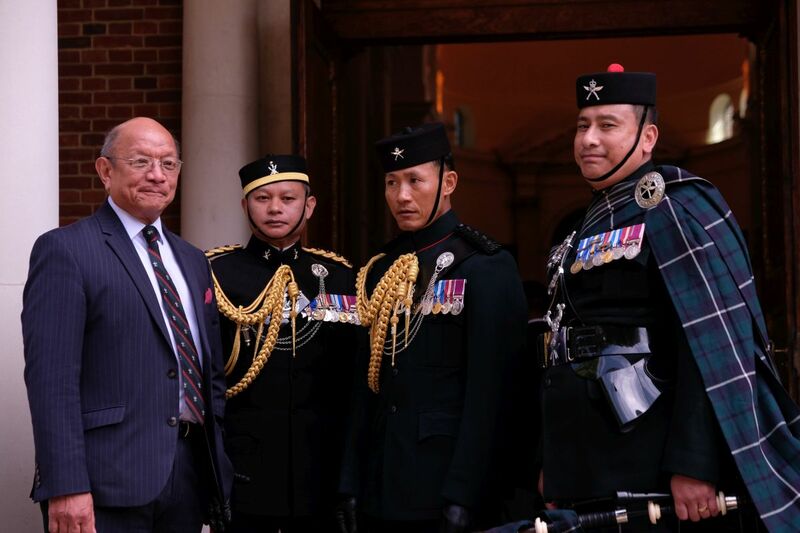 On Saturday the 9th June serving members of the Brigade of Gurkhas, veterans and members of the Brigade Association came together at the Royal Military Academy Sandhurst (RMAS) for the annual reunion church service and lunch. The church service commenced at 1100hrs with approx 300 members in the The Royal Memorial Chapel Sandhurst where the service was led by The Reverend David Crees MA BSc CF (Academy Chaplain) and padre Chris Kellock MA BD CF. 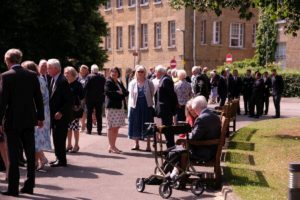 After the service the congregation stepped outside the chapel and formed up around the All Ranks Memorial situated directly opposite the main doors to the Chapel for the Act of Remembrance led by Padre Chris Kellock. We are here to worship Almighty God whose purposes are good; whose power sustains the world he has made; who loves us, though we have failed in his service; who gave Jesus Christ for the life of the world; and who by his Holy Spirit leads us in his way. 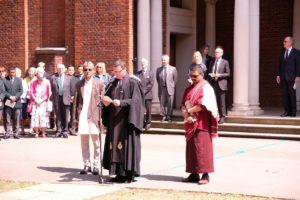 As we give thanks for his great works, we remember those who have lived and died in his service and in the service of others especially those who have served in the Gurkha Brigade. We pray for all who suffer through war and are in need; we ask for his help and blessing that we may do his will, and that the whole world may acknowledge him as Lord and King. Last post was sounded and a piper played a lament. Post the Act of Remembrance the piper led the way to New College for lunch and speeches. After a fine meal and time to catch up with old colleagues, Colonel David Hayes thanked all those for attending and gave a short update on the Brigade of Gurkhas.